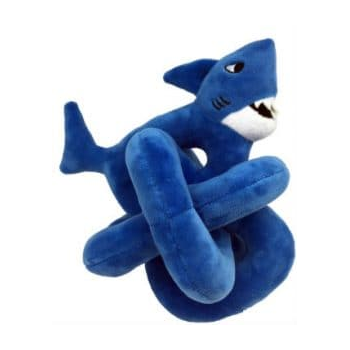 The Talking Mini Blue Shark Dog Toy by Loopies is perfect for a game of tug-of-war or fetch. The plush toy is strong as well as soft so as not to damage your dog’s teeth while playing with it. Loopies talking toys are made of custom fabrics, have a squeaker in the sharks head and a unique sound chip is safely tucked away in the centerpiece of the toy. Mini dog toy is approx 6". Sound chip: Bubbling undewater sound !